Currently touring and performing to sold out audiences, Pell brings a riveting interactive experience to audiences nationwide with Connection Beyond *LIVE* ~ a one of a kind performance intertwining messages from the other side with inspiration, laughter, hope and love. As one of the most dynamic performance mediums in the nation, Ms. Pell engages audiences with her down to earth approachability, a keen sense of humor, and astounding detail. Audiences love to come back time and time again for a new experience, to laugh and cry and hear others amazing connections to those who have passed. 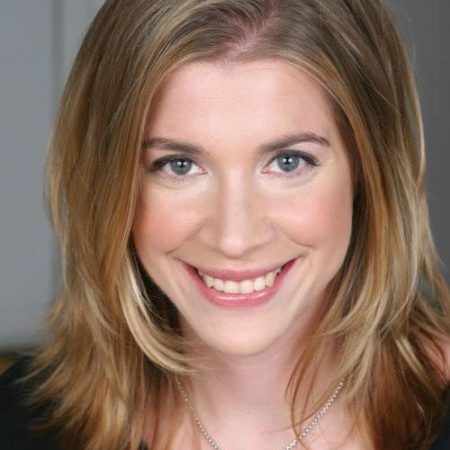 Marisa Liza Pell holds a Graduate degree from Emerson College (Boston MA) in Television, Video and New Media Production and a Bachelor’s Degree from Dickinson College in Pennsylvania. In 2011 she formed Infinity Productions, a small production company producing niche content in her area of expertise. She serves as President and Founder of the company, and successful television pilots are currently being pitched and shopped to major cable networks. For twelve years, Ms. Pell served as creator and head facilitator of The Knowledge For Living Intuitive Development Program. This program served as a resource for those seeking to expand their intuitive awareness through extensive coursework, field study and certification. Since 2005, Ms. Pell and her team certified, trained and graduated some of the best psychic and mediumship talent in the country. Medium Marisa Liza Pell is internationally known as as one of the most detailed mediums in media entertainment today, a gifted spiritual channel, medical intuitive, inspirational speaker, writer, tv personality and radio talk show host. 94.5 WPST (NJ Hits) morning show with Chris and The Crew with her popular live call in segment, Intuitive Tuesdays. Marisa Liza Pell is also the creator and host of Intuidate® Radio, the only talk show of it’s kind intertwining relationships, dating and intuition. In addition to showcasing her work as a medium and medical intuitive, she also educates audiences on the development of intuition for success in relationships, career and health. Ms. Pell has a passion for health and wellness. She also enjoys cooking and creating plant based recipes. As a medical intuitive, she strives to help clients find peace and balance in all life areas. A Scranton PA native, Ms. Pell currently has several office locations in Pennsylvania and New Jersey, with a main office location in Cherry Hill NJ. Ms. Pell has been performing live and helping individuals and families for close to fifteen years. She also serves as an Intuitive Business Consultant for CEO’s nationwide, aiding in all forms of operations to take businesses to the next level. Marisa Liza Pell also speaks to various groups and organizations throughout the country. Her most popular seminar, Using Intuition For Success in Business, emphasizes the importance of tapping into your gut feelings for making business decisions, hiring employees and filtering out negativity in the workplace. Her motivational seminars have been heard at many universities and by major corporations, namely Princeton University, East Stroudsburg University, Pennsylvania State University,Teknion Corporation and The National Association of Women Business Owners. She has written articles for Entrepreneur Magazine, and writes a monthly inspirational column on her website. She has been featured in Philadelphia’s Trend Magazine in an article entitled, “Using Intuitive Abilities In Business”, which outlined how her work helps corporations make key decisions. Beginning in 2011, Ms. Pell’s passion for historical structures and architecture has launched a preservation program to help save historical structures that are in danger of being torn down and demolished. In partnership with major market news affiliates, Ms. Pell has produced riveting on location television segments showcasing prominent historic landmarks. In each segment, she connects with historical figures associated with the sites and also brings personal messages to the caregivers. Bringing media attention to these structures has launched renewed public interest in the sites, driving traffic and much needed donations to help with major repairs and renovations.